Leather is beautiful, but when your sofa is more cow than couch, you know it needs some serious TLC (your leather furniture, not the cow). 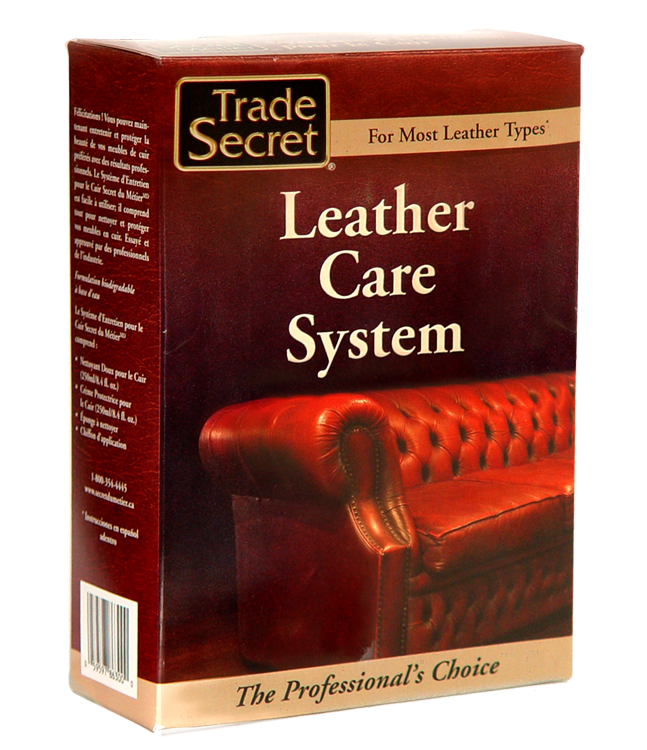 The Trade SecretTM Leather Care System is designed in conjunction with world recognized and renowned Leather Master SE. This water-based, biodegradable system contains everything you need to clean, protect and care for your leather so that it stays beautiful for as many years to come as possible. 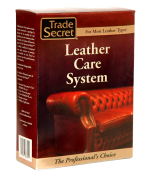 Inside this system you will find a Soft Cleaner for Leather, a Leather Protection Cream along with an application sponge and cloth. The Soft Cleaner for Leather neutralizes and removes contaminants such as: perspiration, dirt, cosmetics and other chemicals that darken and stain leather furniture permanently blemishing its beauty. This simple cleaning process will maintain and, in many cases, enhance the leather’s natural allure without changing its texture or colour. The Leather Protection Cream is designed to provide a breathable barrier that protects the leather against dirt, grime, perspiration and sweat as well as liquid and food spills. Even daily abrasion from clothing could damage the leather if unprotected. 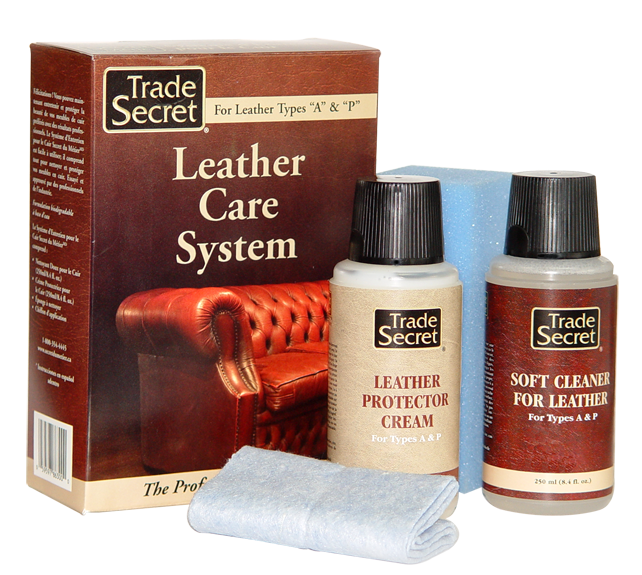 For example, if you accidentally spill your drink on the sofa, using the Leather Protection Cream protects your leather while you clean up before the stain sets (plus in the kit you have the Soft Cleaner which will help ensure that you can clean up the mess properly). There are many leather types on the market today that require very specific care and some of these leathers are more susceptible to damage. Don’t risk using aggressive products that are designed for other applications and could damage your fine and not-so-fine leather furniture. Keep the cow on the farm. Includes: 1 x bottle of Soft Cleaner for Leather (250ml) , 1 x bottle of Leather Protection Cream (250ml), 1 x cleaning spronge and 1 x applicator cloth.